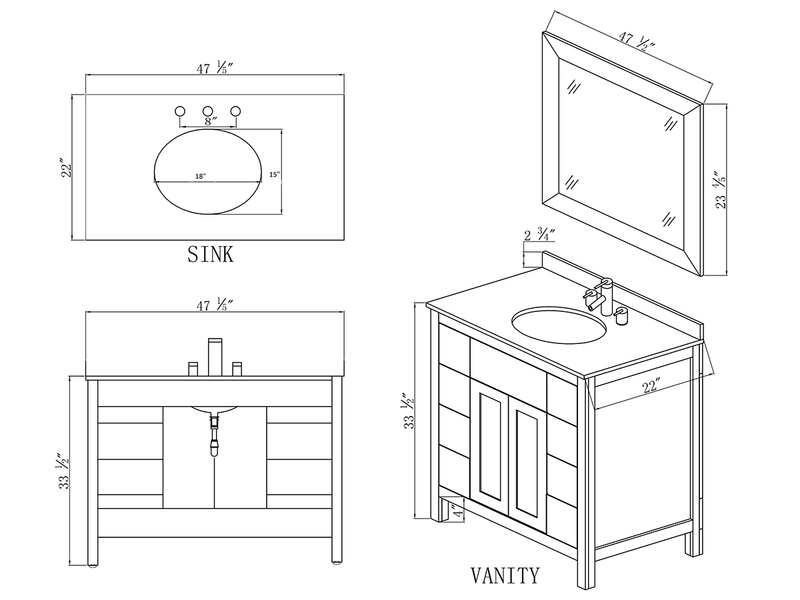 Multi-functional and simple in style, the 47" Constanza Single Bath Vanity offers everything you need for a stylish, yet highly functional vanity for your bathroom. 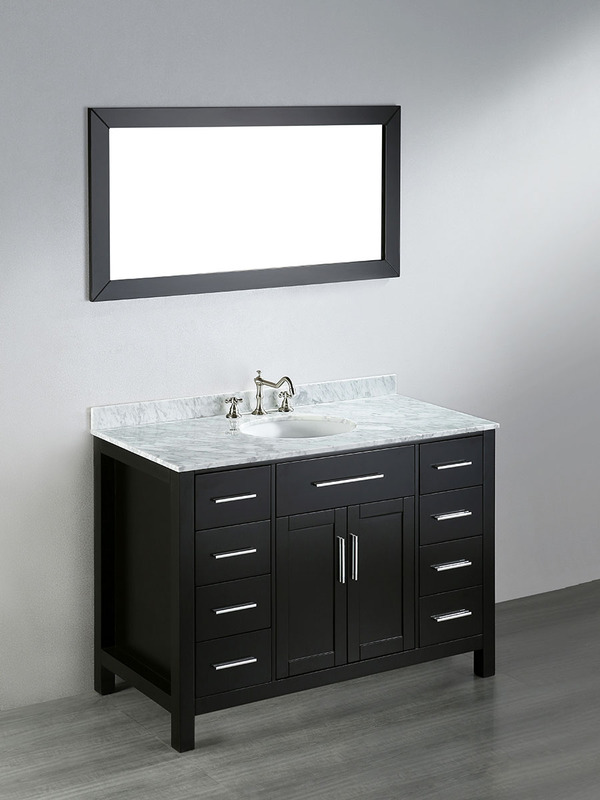 This vanity boasts a solid birch frame with a Dark Espresso finish. 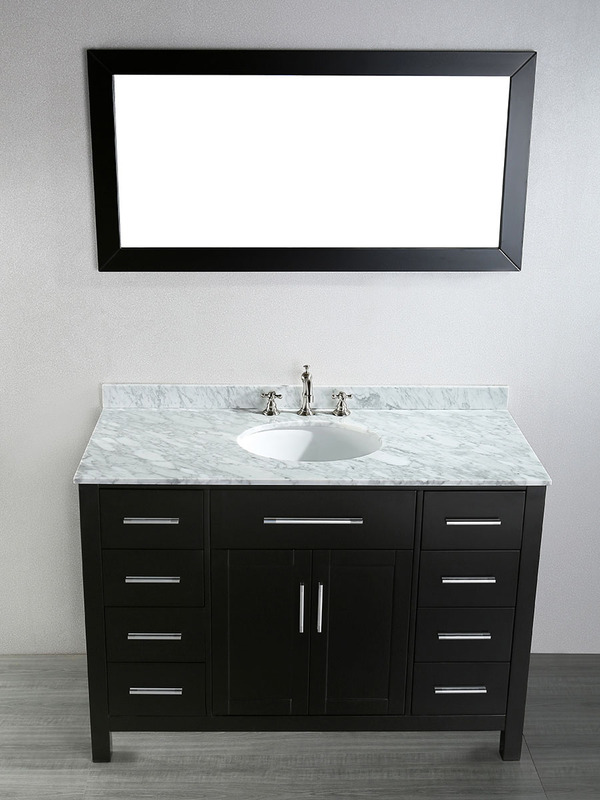 A central double-door cabinet with eight fully-functional drawers give you tons of storage space, which is also matched with its spacious White Carrera Marble top. Each drawer and cabinet door is adorned with a Silver finished handle and are all equipped with soft-closing glides and hinges, respectively. Its matching mirror is also included to finish the look of the Constanza!